About 1600 government troops invaded the western Taranaki settlement of Parihaka, which had come to symbolise peaceful resistance to the confiscation of Māori land. Founded in the mid-1860s, Parihaka was soon attracting dispossessed and disillusioned Māori from around the country. Its main leaders were Te Whiti-o-Rongomai and Tohu Kākahi, both of the Taranaki and Te Ātiawa iwi. When in May 1879 the colonial government moved to occupy fertile land in the Waimate Plains that had in theory been confiscated in the 1860s, Te Whiti and Tohu developed tactics of non-violent resistance. Ploughmen from Parihaka fanned out across Taranaki to assert continuing Māori ownership of the land. The government responded with laws targeting the Parihaka protesters and imprisoned several hundred ploughmen without trial. Following an election in September 1879, the new government announced an enquiry into the confiscations while sending the ploughmen to South Island gaols. In 1880 the West Coast Commission recommended creating reserves for the Parihaka people. Meanwhile, the government began constructing roads through cultivated land. 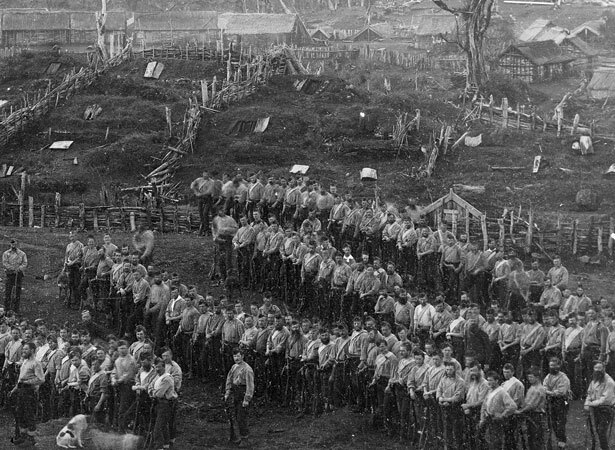 Men from Parihaka who rebuilt their fences soon joined the ploughmen in detention. The prisoners were released in early 1881. After ploughing resumed in July, Sir John Hall’s government decided to act decisively while Governor Sir Arthur Gordon was out of the colony. A proclamation on 19 October gave the ‘Parihaka natives’ 14 days to accept the reserves offered or face the consequences. On 5 November, 1600 volunteer and Armed Constabulary troops marched on Parihaka. Several thousand Māori sat quietly on the marae as singing children greeted the force led by Native Minister John Bryce. The Whanganui farmer had fought in the campaign against Tītokowaru (see 9 June) and viewed Parihaka as a ‘headquarters of fanaticism and disaffection’. Bryce ordered the arrest of Parihaka’s leaders, the destruction of much of the village and the dispersal of most of its inhabitants. Pressmen, officially banned from the scene by Bryce, were ambivalent about the government’s actions, but most colonists approved. Te Whiti and Tohu were detained without trial for 16 months. The government managed to delay for several years the publication in New Zealand of the official documents relating to these events. We have 6 biographies, 2 articles, related to Invasion of pacifist settlement at Parihaka .